Nvidia has launched their Nvidia Tegra X1 Octa-core ARM Cortex-A57/53 big.LITTLE based Nvidia Shield Android TV Home Console Set-top-box with their 256-core Maxwell GPU for and impressive 4K gaming experience. Right now due to Android limitations the gaming is limited at 30 frames per second, but this could be pushed to 60 frames per second through a firmware update if Android TV will support it soon enough, the Maxwell 256-core GPU should support it. Advanced Android games look quite good, it plays back 4K video. As you can see that they were preparing Android 5.0 launch in my previous video below posted a couple of months ago, Geniatech is now ready to launch their Android 5.0 Android TV players, in the form of the MyGica ATV1900ac and the ATV586 with Digital TV (DVB-T2 or ATSC). This is a preview release of Android 5.0 Lollipop running on the powerful 8-core A80 TV box showing off some games running on the 64-core PowerVR G6230 GPU, the Android TV Remote Control app controlling the A80 TV box from any Android device, Google Cast casting YouTube video to the screen which means it becomes a Chromecast receiver and the Enhanced Google Voice Search using microphone, which are just some of the advantages of Google's Android TV UI for Android 5.0 Lollipop. I especially think that the most important thing about Android TV is Google's support, them pushing for more gamepad controlled games, more TV-centric entertainment apps for streaming more video-on-demand, and an overall improvement of Android for TV usage. Support for Android TV UI on Android 5.0 I think can accelerate the success of the Android Set-top-box market. ARM overtakes MIPS in the Set-top-box market as most of the Set-top-box SoC makers are showing ARM solutions, it's about the ecosystem, about the platform, Android, Google TV, RDK, Wyplay, all of these user interfaces are being optimized for ARM, bringing cheaper and better more advanced and more powerful devices all at the same time. The TV market is bigger than the Web, as people still spend a lot more time watching TV than browsing the web in average. And the new features enabled by ARM, Android and other platforms, enable a lot more video-on-demand and other forms of interactivity on the TV. Sigma Designs, a leading provider of System-on-Chip (SoC) solutions for home entertainment, control, connectivity and converging multimedia delivery, launches its new High Efficiency Video Coding (HEVC)-capable SMP8750 family ARM Processors for Set-top-boxes. Combining the HEVC compression standard with a high performance ARM Cortex A9, ARM Mali-400 GPU, the SMP8756 enables Sigma Designs to offer more performance, a better user experience and full video quality for the Set-top-box market. Sigma SMP8756 features HEVC's Main-10 profile allowing processing of up to 10 bit color samples accepted as the standard for 4Kx2K, OTT (over the top) and IPTV content. The SMP8750 family will support FHD and 4K resolutions. The new SMP8750 family offers SoCs at multiple cost and performance combinations allowing each SoC to offer optimal performance to price ratio for multiple STB platforms from zappers, PVR capable, Hybrid-broadcast and IPTV STBs. The SMP8750 family migrates robust STB SoC components like broadcast TS processing, OTP and security infrastructure paired with an ARM A9 CPU and Mali GPU. The single-core ARM A9 CPU and 3000 DMIPS of application processing along with a Mali GPU combine to provide a dramatic performance profile for new 3D user interfaces, over-the-top and casual gaming applications. Incorporating Sigma's industry-proven technologies such as secure media processing, multi-format Full-HD video decoding, VXP display processing, and field-proven AV software core, the SMP8756 is able to provide premium quality video experience. 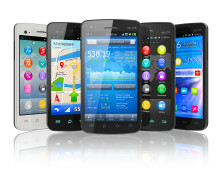 A software SDK is available for either Linux or Android platform development. Future certification of CAS technologies like Verimatrix and Nagravision are planned. 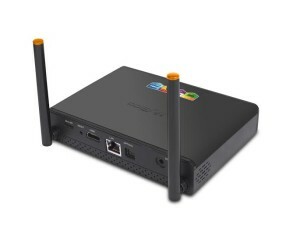 The chipset also demonstrates ecosystem compatibility, leveraging the widely supported ARM processing core, OpenGL ES, HTML-5 and others to ensure that a broad range of existing applications will run including a wide range of hardware and software extensions to support the system solutions; including global tuner/demodulator standards, wired and wireless network controllers, DTV middleware stacks and IPTV middleware ports, such as Wyplay and OpenTV. The SMP8756 comes with a full Software Suite, including libraries and services packaged under both Linux and Android development kits for rapid development. It incorporates managed power consumption, developed for both US and European regulatory compliance and is developed to a minimal R-BOM to allow smaller footprint and lower cost implementations. ST’s latest ARM Powered System-on-Chips supporting Android, Google TV (now Android TV), rdk, ST presents their STiH312 client-box and STiH412 server-box product families, codenamed ‘Cannes’ and ‘Monaco,’ respectively, they integrate Faroudja technology to decode and display video up to Ultra HD 4K (2160p) and the next-generation H.265 / HEVC video compression. Even supporting video transcoding (for local and remote streaming from the Set-top-box to Tablets, Smartphones, etc) STMicroelectronics presents their Dual core ARM Cortex-A9 (on 28nm process) with quad-core Mali-400 GPU does Quad-HD Ultra HD 4K HEVC video decoding, combined with Faroudja video processing technology (decoding on Cannes, decoding and transcoding on Monaco), advanced security supporting concurrent conditional access and DRM, wide connectivity, including USB 3.0, PCI-e, SATA and Gigabit Ethernet, Dedicated interfaces to a range of companion front-end solutions, including MoCA 2.0, DOCSIS 3.0, satellite and 802.11ac WiFi and more. Radically revamping the device development model for Carrier class operators with ARM and Linaro. Comcast? Software? Isn't that an oxymorom? See how the open source community and modern development models are re-shaping the feature velocity and security models for embedded devices like set-top-boxes, cable modems and gateways. Competing in the modern landscape means building products and experiences that compete with a new breed of innovators. Comcast's SVP, Engineering and Operations and Chief Software Architect will provide insight into how its reinvented its technology stack and product line. The new Linaro Home Group is about optimizing ARM Linux for Multimedia Set-top-boxes. Here's my interview with Sree Kotay, Comcast Chief Software Architect about how Comcast is interested in working with Linaro to optimize Linux on the ARM Powered Set-top-box. George Grey, CEO of Linaro, the not-for-profit engineering organization consolidating and optimizing open source Linux software and tools for the ARM architecture, announces that Qualcomm, Mediatek, ZTE, AllWinner and Comcast are joining Linaro to work together on bringing Linux on ARM forward together. They are joining the existing Linaro member companies who are ARM, HiSilicon, Broadcom, Fujitsu, LG, Samsung, STMicroelectronics, Texas Instruments, AMD, AppliedMicro, Canonical, Cavium, Cisco, Citrix, Enea, Facebook, Freescale, HP, LSI, Marvell, Montavista, Nokia Solutions and Networks, Red Hat and IBM who all are contributing engineers to all be working together to improve Linux on ARM for Mobile, Enterprise (servers), Networking, and now also for Home (Set-top-box) usage with the Internet of Things potentially also to be supported. Linaro just held its Linaro Connect Asia here in Macau this week and I will be posting many videos from there, interviewing Linaro engineers about some of the latest Linux hacking work they are doing to speed up all ARM Powered devices. Marvell Video R&D Software Architecture Team Leader Gaurav Arora talks about how Marvell and Google deliver the ARM Powered Google TV, now renamed Android TV on the dual-core Marvell Armada 1500-Plus, how the extremely popular and successful Chromecast runs on the single-core Marvell Armada 1500-Mini. Marvell also shows their new quad-core Marvell Armada 1500 Pro HD to be released in devices Q2 2014 running Android TV. Google is bringing the TV into the mainline ARM Powered Android releases, that is why they now brand it Android TV. The app package included on Android TV is called the Android TV GMS Package, includes apps like YouTube, Amazon, Hulu, Netflix and everything else optimized for the TV. The apps are designed for a 10-foot experience remote control user interface. Greg Kroah-Hartman of the Linux Foundation, Maintainer of the Linux Stable releases, talks about what he is doing at Linaro Connect 2013.